Candy Flowers and Gifts SUGAR BAKERS BAKERY on ETSY LAYAWAY Available on"About"
Wedding Accessories: Rose Toss Petals, Real Edible Organic Flowers, Micro Herbs and Veggies, Candied Roses, Flower Lollipops, delivery scheduling and layaway plan service offered. Sold in 4 ounce single bags and 2 ounce tins for favors . 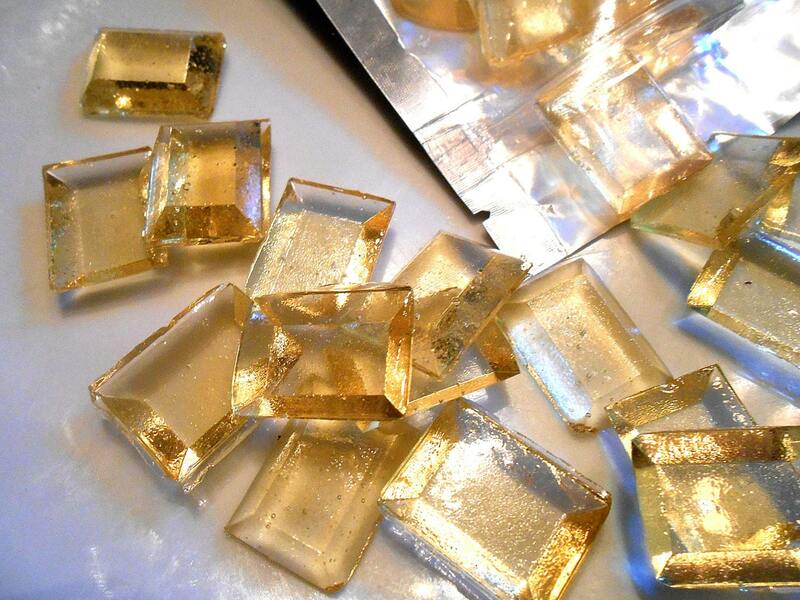 The emerald cut gems are approx. 1 inch long and 3/4 inch wide and are flat and lay nicely on your tongue. If you need a custom order of these gems packaged in little individual clear pockets, let me know and I'll take the time to do it. They then can fill a candy dish of a favor package for a wedding or buffet table. Other liquors are listed in the drop down box. Please refrigerate your MicroGreens, PetiteGreens, Edible Flowers, Shoots & Leaves and TinyVeggies™ immediately, upon arrival. To retain the best flavor and freshness, the temperature should be maintained between 38 – 40 degrees. Enjoy your purchase of Micro Greens, Fresh Edible Flowers and Shoots & Leaves within five days for the utmost in flavor. Petite Tiny Greens and Micro Veggies should be fresh for use for 5 - 7 days. Crystallized Flowers and Herb & Flower Crystals are their very best used within 2 weeks of purchase. They should be kept cool and dry. Please try and avoid humid conditions. 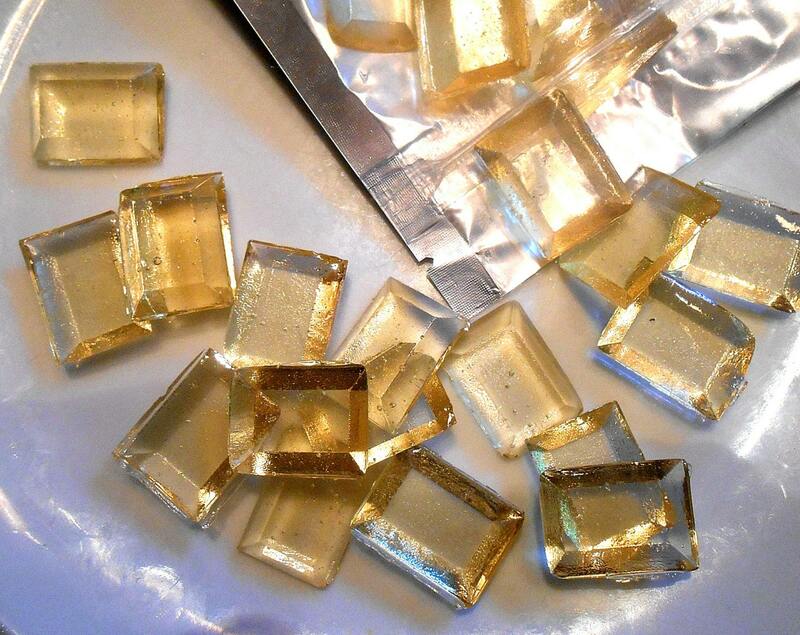 Crystallized items should not to be refrigerated. 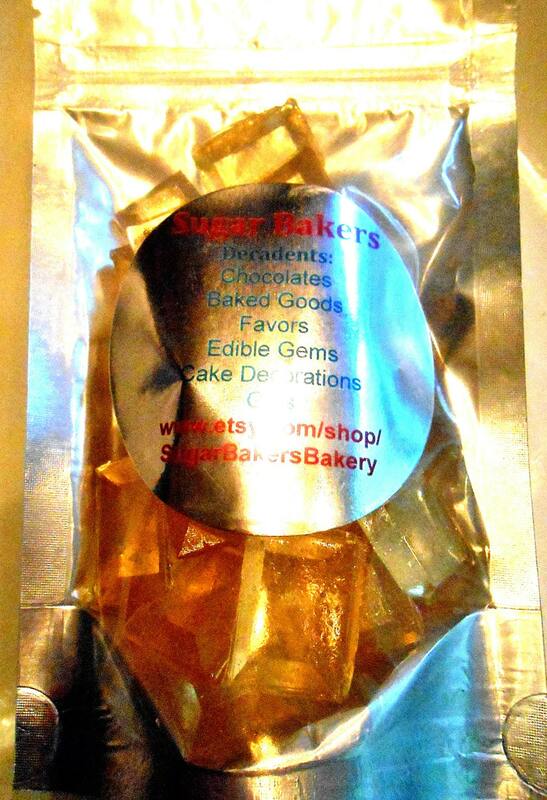 Sugar Bakers offers payment through the Etsy shopping cart with your credit or debit card as well as through Paypal. If you have any questions, please contact me. Thank you. 1 TO 4 BUSINESS DAYS MINIMUM TO MAKE UP ORDERS PLUS 2 TO 3 DAYS PRIORITY MAIL CANDIED FLOWERS AND LARGE ORDERS CAN BE UP 2 WEEKS. REQUEST A QUOTE FOR LARGE AND/OR CUSTOM ORDERS AND UNDERSTAND THAT THERE IS NO WHOLESALE PRICING BUT MAY BE BETTER PRICES ON LARGE ORDERS OF THE SAME PRODUCT. THANK YOU. PLEASE GO BY THE SHIPPING TAB ON EACH PRODUCT PAGE FOR PROCESSING TIMES. DO NOT LEAVE A MESSAGE FOR ME TO CANCEL IF I CAN"T MAKE AND SHIP THE PRODUCT BY AN EXPEDITED DATE WITHOUT ASKING FIRST IN AN EMAIL. IT IS FIRST COME FIRST SERVE AND IT COSTS TIME AND MONEY TO CANCEL> PLEASE! Packages get to you in 2 to 3 days from the day after the day I ship and they are reliable. So, when you see the word "standard" it is actually EXPEDITED shipping and the only upgrade is OVER NIGHT MAIL . Your "chocolates and candies will be "Made to Order". They will be Shipped USPS Priority Mail Only which deliveries are usually made 2-3 days, and Shipping will be charged according to the size of the order. We pride ourselves in taking the greatest care when packaging your "sweet treats" to make sure that they arrive safely to you. I cannot be responsible for what happens to packages after it leaves our hands at the Post Office and on it's way to its destination. IN HOT WEATHER, if you have ordered candy gems or chocolates, PLEASE FOLLOW your tracking sent to you by email so that the package isn't left out in the sun or heat at delivery time. and I will NOT replace your order if they are melted. If the tracking states that they were left at your door, I can not take that responsibility, I am sorry, but I can't check the weather in everyone's area when I ship. PLEASE LET ME KNOW IN THE NOTE SECTION IF YOU WANT THEM SHIPPED "SIGNATURE REQUIRED". Thank you. To ensure that you will be able to fully enjoy each of our baked goods your order will be produced, packaged all on the same day within 24 hours and shipped the following morning. We take great care to package your order, and use an excessive amount of packing material, so that your treats will arrive to your door in tact and as fresh & delicious as possible. We welcome custom orders & will be happy to work with you. Just send us a convo to get started. ♥ ♥ ♥ ♥ Please indicate in the Notes to the Seller at checkout if your order should be shipped to an address other than the one specified on your invoice & PayPal or on your Credit Card. If not specified, your order will be shipped to the address on your invoice!! Shipping rates are USD. Shipping charges are estimated based on the smallest of our packages to the farthest distance away in the continental USA We use USPS flat rate packages for our heavier Priority Mail postage which includes free delivery confirmation. Once shipped, we will send you a tracking # for your package. ***NOTE: we are not responsible for packages once they leave our hands....they are then in the hands of the USPS Postal Service!! ♥ ♥ ♥ ♥ Also Please Note the following: Combined shipping is only applicable to ONE shipping address!! If within one order, multiple purchases are made that are going to different destinations, additional shipping charges WILL incur and must be paid by the buyer before those orders will be produced & shipped! 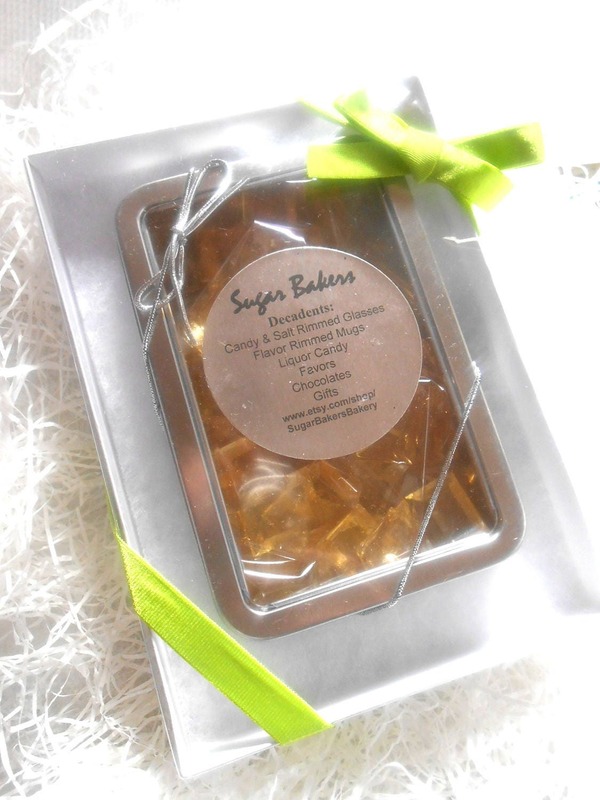 ♥ ♥ ♥ ♥ Any package being shipped to a place of business, college or university, hotel, wedding venue, etc. will require the addition of Signature Confirmation to the postage! ♥ ♥ ♥ ♥*PLEASE NOTE *** We hold no liability for lost or damaged packages caused by USPS or any other shipping company. We package each and every order with care and have no control over the way the package is handled once it leaves our bakery. If your order has been lost or damaged, it is the customer's responsibility to place an insurance claim to cover any loss. Each and every package we ship is insured for the value of its contents. Sorry!! There are no refunds or exchanges given on made to order food items!! When placing your favor order please give us the date of your event in the notes to the seller at checkout. Favor orders should be placed no later than 2 weeks prior to your celebration. Wedding & Favor orders will be shipped through UPS, which includes insurance & delivery confirmation. If a wedding or favor order needs to be cancelled, it must be done no later than 2 weeks prior to the event for a full refund, otherwise we reserve the right to retain partial payment to cover purchased supplies for the order. If there is a distinct problem with your order that occurred on my part ie my shipping the wrong order, or switching labels, just convo me and I'll correct it right away. I will accept a return but you must contact me by convo first and convo a photo of the problem, I will give you a return authorization and when I receive the item back, I will refund you in full. At times there are problems with mail damage however all orders leaving here are well packaged and insured. If there is a problem with damage, you must contact your post office first and they will inspect it and give you instructions. Payments are never sent to me. They always are sent to the buyer. Food Allergies- My kitchen contains nut allergens as do most bakeries. Also the hard candy made with Barley is NOT gluten free but the candies made without barley water are free. The candy is made with Karo so there are NO GMOs. Custom orders require a custom page to buy from. If you need a large quantity or special gifts, please convo me first from the custom page tab on the item page you are interested in to assist me in quoting you. The sizes and weights are in or should be in each description. It requires scrolling down if you are using a phone and Etsy app to order. Wholesale prices are listed on each page and are available in quantity orders only. Please order in the increments noted for discounted prices. You also can add a coupon code at checkout time if you are a second time customer. Gave it to a friend as a gift who loves to drink Bulleit. Never tasted the item, but they looked good. Arrived a little beat-up (cracked candy), might have been from the mail. The recipient of this gift, thought this candy was fabulous!!!! Thank you. So yummy! Normally candy like this is way over powering. These are just right. Thank you. © 2019 Candy Flowers and Gifts SUGAR BAKERS BAKERY on ETSY LAYAWAY Available on"About"